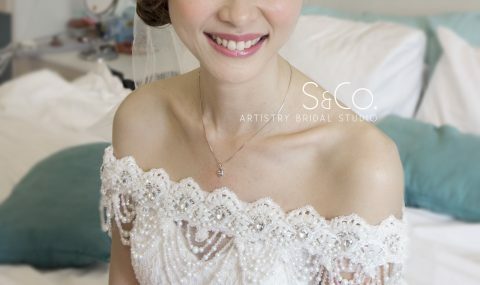 Yuki chose this Mermaid style with Dipped design as her wedding gown. 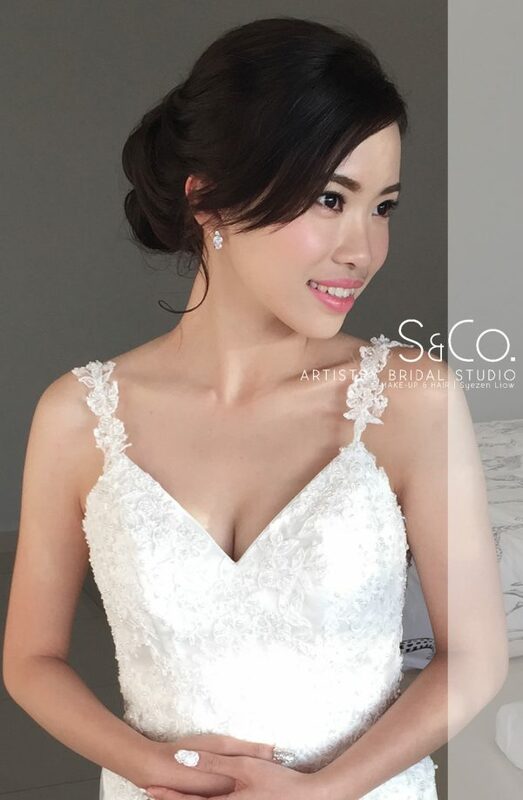 We decided to match her bridal image with a side elegant loose bun for her actual day hair style. 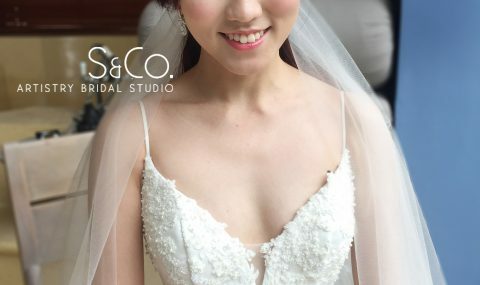 Apply S & Co’s Signature Makeup Technique enhances her natural beauty, ensuring radiant and glowing skin.